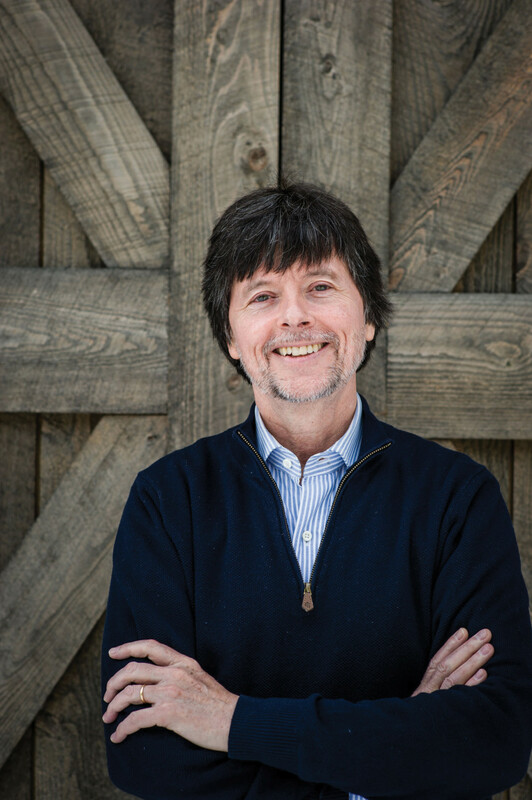 WASHINGTON — A week doesn’t pass without documentary filmmaker Ken Burns thinking of Mrs. Jennings, the black cleaning lady who helped raise him. When Burns’ mother was dying of cancer, Mrs. Jennings stepped in to help. She cooked, greeted the children after school and comforted a young Burns when he cried. “I loved Mrs. Jennings,” Burns said Monday night, delivering the 2016 Jefferson Lecture at the John F. Kennedy Center for the Performing Arts. Just before Burns’ family embarked on a 12-hour drive from Delaware to their new home in Michigan, Mrs. Jennings came to bid the family farewell, but she was worried about them. “Mrs. Jennings leaned into the back of the car to give me a hug and kiss goodbye,” Burns said. Burns said he shared the story because he had convinced himself that his lifelong interest in race in America was born in that anguished moment. And the humanities provide a tool for examining racial tension and other divisions in our society — just as Burns has done in his films. The annual Jefferson Lecture is produced by the National Endowment for the Humanities, which has supported 15 of Burns’ films over three decades. It has followed him from the near-beginning of his career, supporting his first major effort, Brooklyn Bridge. In introductory remarks, NEH Chairman William D. Adams called the Jefferson Lecture the “highest honor bestowed by the federal government for distinguished work in the humanities.” Burns joins a long list of notables, including actress Anna Deavere Smith (2015), writer John Updike (2008) and professor Henry Louis Gates, Jr. (2002). Burns expressed his appreciation for the NEH and weaved anecdotes from his upbringing with a larger argument on how the legacy of slavery and the Civil War persists. Moving back and forth between past and present, Burns said many of the challenges documented in Jackie Robinson, his latest film, are still present today. Unarmed black men and boys like Trayvon Martin and Tamir Rice were gunned down because they were perceived as a threat. The nation is still grappling with “Confederate flag issues, driving while black, stop and frisk, burned black churches, integrated suburban swimming pool problems, housing bias, racial taunts, cynical political calculations that ignore African-Americans’ agency, and a version of Black Lives Matter, to name just a few,” Burns said. “I do not believe there is a hell, as most of our religions reliably report, just the one we humans make for ourselves and each other right here,” Burns said. Burns said people tend to see issues in binary terms — red state–blue state, black-white, North-South. But memory is an antidote to misunderstanding and division, he said. Memory is a “deeply personal affirmation of self” that permits an “authentic relationship to our larger national narrative,” Burns said. Memories create stories that become building blocks of our collective experience, he said. Memories shift as new information emerges, but also as people change. “Mrs. Jennings, my better angel, understands still, and perhaps forgives me,” he said in closing. For the first time, the endowment is providing infrastructure and capacity-building challenge grants.